Limousines are all about luxury and comfort, but choosing the best limousine for you isn’t easy. 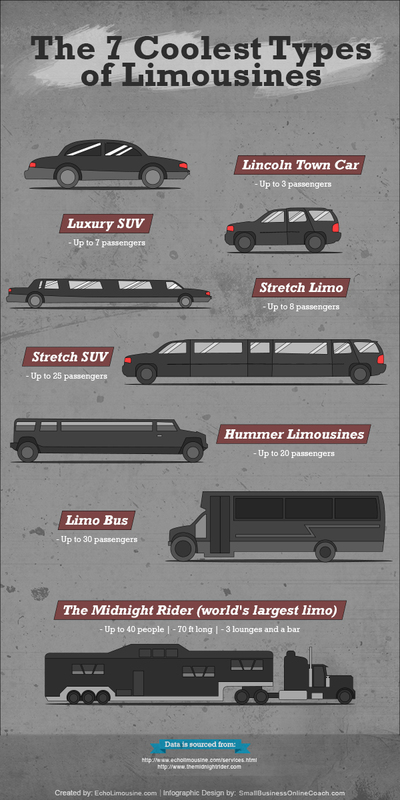 What type of limo you want to use depends on what you’re going for. Is it for a normal trip or do you want to have a party? Do you need much storage, or lots of leg room? No matter what, there’s a limo out there for you — even if you happen to need 3 lounges and a bar!